Good morning, world. We've reached the top of the hill for this first week in May. And just to eas you into your day or into your night, we have an interview with author Christine Church. Welcome, Christine! CC: Scotland has been in my blood since I was young, and in 1992, I was finally able to see the country I loved, when I flew over there to “live with” a male friend in the late 1990’s. At that time, I was writing a vampire novel about a woman named Kesi who was an ancient hybrid human/God blood drinker (it’s less complicated than it sounds) who was “collecting” who she considered the ‘perfect’ humans to turn into vampires so she could have a vampire family. Wolfe Stewart (the journal writer in Blood Moon), though not one of Kesi’s “children,” played a role in the whole of the story. That novel sat for decades until, in 2015, I decided to revamp it (pun intended), tear it apart and make something completely different out of it. That is when I got the idea to have Kesi tell her own story. As she lived way back thousands of years ago in ancient Egypt, I knew these couldn’t be just any journal entries written in some store-bought leather journal with flowers on the cover; they’d have been written on scrolls and be so old as to barely be readable. That is when I got the idea of “duping” the public by making Kesi’s story seem like “real” documents discovered by an archaeologist, hidden in the sands of Egypt, then restored, translated and published. Something no one else has ever done. Of course, I never actually duped anyone into thinking these were real. But, I have had a number of reviewers write that they definitely read as being real, and that’s good enough for me. After Book One, I received a lot of feedback from readers wanting to know more about Kesi’s background and her family, so for Book Two I did a Prequel, taking the reader all the way back to the beginning, long before even the pyramids were built. 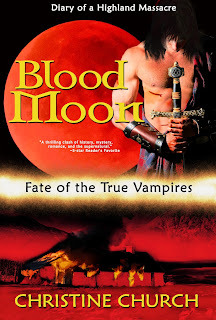 Many readers showed a big interest in Wolfe Stewart and Fergus MacGregor (a mute vampire? Whaaa…? ), who have a chapter in book one, Sands of Time. Since I was trying to publish these books by chronological date, and since book one actually ends (as a to be continued) in 1789, I went back a bit to 1692 and told Wolfe’s story for book three, Blood Moon: Diary of a Highland Massacre. So far, that book seems to be everyone’s favorite. But, book four, Love’s Tragedy, is now out and continues where book one left off in 1789 France. Can you tell I love history? 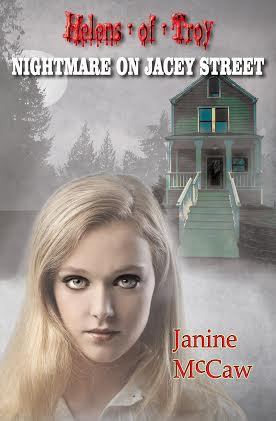 Most of the books in this series are novellas, because the journal entries (all “discovered” in various locales, translated, published) are straight and to the point writings of the character’s journey and how they were “made” vampires and where they will fall on the timeline of this series. Going forward, as more vampires are made and introduced, the characters will begin to mesh in interesting ways (such as in attempting to locate and take down Yin) and will come together more and more. So, I guess you can look at the series so far as a sort of “intro” to the characters before the big story (which has been merely introduced), which will involve everyone and take interesting twists and turns as characters come and go and try to live their lives within the confines of their individual circumstances. And of course in the center of all of it is Kesi Akhede… and with her at the helm, no one can ever guess what’s going to happen next (not even me)! SC: I CAN tell you love history! Do you believe in the paranormal and if so, do you have an experience you can share? CC: I LOVE the paranormal in fiction. If “knowing” something is going to happen before it happens is paranormal, then I have it. All my life, I have been able to “know” certain things… big things… before they happened. One of the biggest, and worst, was when I told a close friend not to let her horse go out the next day. I had a terrible feeling something horrible would happen to him. Most people don’t listen when someone has a ‘feeling,” and the next day her horse went out, broke his leg and had to be put down. The first thing she said to me was “I should have listened to you.” This has happened numerous times in my life, even knowing when certain people would die. I can’t control it nor can I predict when I will get these feelings. SC: You may be one of the five "Claires", i.e. Clairvoyant, Claircognisant… As I am NOT psychic, what titles are you working on now that you can tell us about? CC:Book Two in my Anachronistic Dimensions series, which is turning out to be very exciting, scary and unpredictable. I am also working on a time travel romance, an epic fantasy series, book five in the Fate of the True Vampires series, and a nonfiction book on horses. SC: Many thanks for dropping by today. We can't wait for your return visit. Let's take a look at this story now.